Carol Cave moved from Kansas to NW Arkansas with her husband and son in 2002. Her previous work experience consisted of restaurant ownership and management, radio sales, and office management. 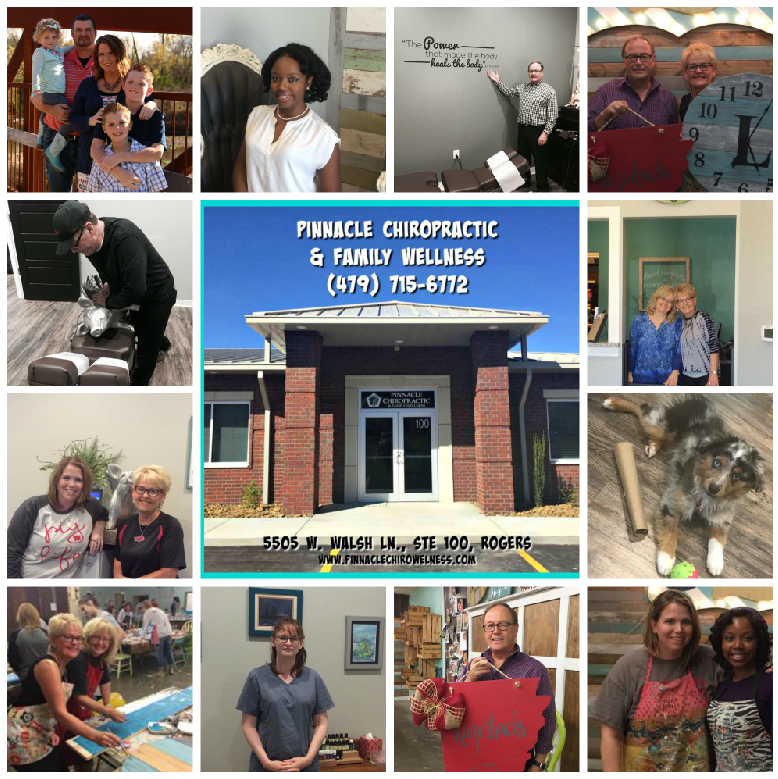 Upon moving to NW Arkansas, she began working in the chiropractic field and it became her passion. She loves to see patients improve with chiropractic care. Jennifer was born and raised in California. In 2000, she moved with her family to NW Arkansas. Jennifer attended the University of Central Arkansas in Conway for two years before moving back home to Springdale. She enrolled at Blue Cliff College for Medical Assisting. 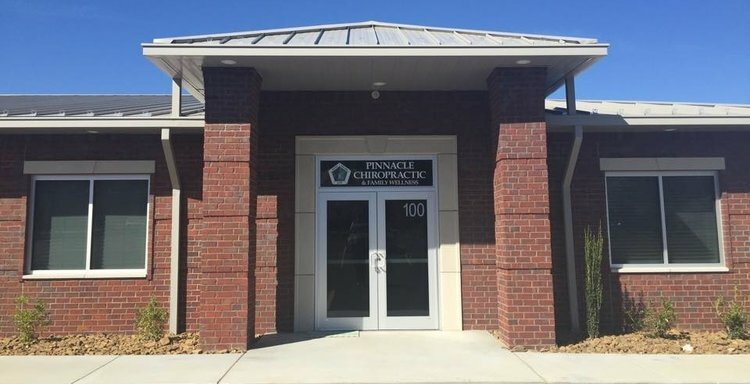 While completing her externship at Pinnacle Chiropractic, she realized this was it. She loved the interaction patients had with their doctors, "It felt more like a family than a doctors office". She loves watching patients heal with chiropractic, acupuncture and massage therapy. In her free time, Jennifer enjoys spending time with her husband, Robert and three children, Carter, Eli and Ryan. Valerie joined the clinic in 2017 as a chiropractic assistant after moving from Wisconsin to be closer to her grandparents. She's attending college at NWACC and works at the Bentonville Community Center when not at Pinnacle Chiropractic. She enjoys spending time with her dogs, Ava and Ivy, and spending time with family, especially her grandparents, Kirk and Sharon. Her hobbies include wakeboarding, skiing and swimming. Her passion is working with disabled children and keeping her numerous boyfriends in line. Gail was born in upstate New York. She and her family moved to Northwest Arkansas in 1999. She has always had a passion for massage. After the company she worked for closed their doors, she decided to turn her passion into her way of life. She graduated massage therapy school at Blue Cliff College in 2013on the President’s List, She received her License the same year and is a member of the National Technical Honor Society. Beau was born December 22, 2017, and was one of six in his litter. After many days of frolicking with his brothers and sisters, he was put to work as the Therapy dog at Pinnacle Chiropractic . Beau enjoys spending time with patients (once he is roused from his doggie bed) and especially the children that come in. Feel free to say "hi" and give him a pat whenever you're in the clinic.